Zambezi Portland Cement Ltd. (ZPCL) was established in 2005. It is a family run cement manufacturer and is the newest entrant into the domestic cement industry. Zambezi Portland Cement Limited is a Cement Factory situated in Ndola, the second largest city in Zambia which is also known as the Zambian Industrial Capital. The firm started operations in 2009, breaking a long-standing monopoly in the cement supplying sector in Zambia where the lack of product and its high cost were seriously affecting the construction and mining industries. 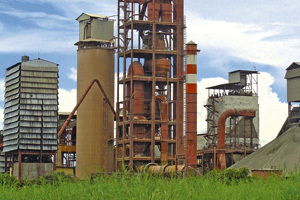 The Zambezi Portland Cement Factory is the backbone of Ndola, Africa. Ever since its inception, the organization has been the second largest cement manufacturer in Zambia and continues to serve employment to more than 700 workers. The quality of output at the ZPC abides by all the standards and is ISO 9001:2008 certificated since 2014. 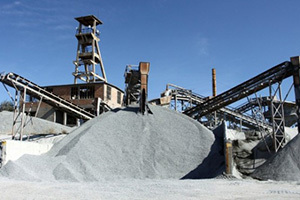 Zambezi Portland Cement’s establishment brought much needed competition to the cement manufacturing industry and has assured Zambians that the price of cement will now become increasingly market driven. Zambezi Portland Cement will further influ- ence the industry through its competitive pricing, which it arrived at after undertaking a price survey of similar products in the region. Zambian mining and construction companies can now source high quality cement domestically as op- posed to having to import it from South Africa. This offers their clients the ability to significantly cut costs and also handle orders quickly and keep delivery times low. The quality of cement Zambezi Portland Cement manufactures is ideal for constructions and building assignments. Its production is in conformity with the local and international standards of EN-196 and EN-197. 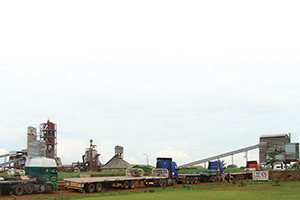 The year 2014 witnessed a major streamline development for Portland Cement Factory Zambia as it was successful in increasing its total production of cement by 200 tonnes per day. The previous track offered a production of 1100 tonnes per day, whereas the new output unit has been increased to 1300 tonnes per day. Along with the aforesaid developments, the factory also volunteered in offering cement for the Ndola Housing Project in 2014. The project had offered a total of 130 housing complex with twin bedroom facility and provisions for better sanitation and hygiene for the locals without charging a penny from the occupiers. Zambezi Portland Cement offers great value to Zam- bia, not only through the supply of world class ce- ment, but also through the employment and training of many Zambians and through a great deal of social programs aimed at improving the lives of Zambians. ZPCL provides cement for the Government’s rural development projects and in July 2010 the company contributed 600 50kg bags of its high-quality cement towards the rehabilitation of the Lwitikila Girls School in Mpika. Plus they also make many donations to several health and educational programs. At the moment there is a forgery case ongoing that has been taken to court to prove the legal ownership of the Ventriglia family in the company. The rule of law has been applied in Zambia and the family managed to get back what has always belonged to the Ventriglia family. Ventriglia family has been in Zambia for over 50 years and unfortunately they have been taken to court unfairly. Now they are happy that everything is settling up. In terms of production, the estimated production capacity of ZPC is around 1500 tonnes of cement on a daily basis and 540.000 tonnes of annual capacity. The estimated production capacity was left far behind when the annual production of ZPC was computed as 473, 985 tonnes. The surplus production was made with an intent to facilitate the Ndola housing project, which involved construction of 130 houses, 3 churches and a market. The key to the success of the company is mainly its management team that has grouped a different set of skills to provide its customers with the highest quality cement in the market. The company is constantly upgrading machinery to be on the edge of the cement technology. Zambezi Portland Cement is purely a Zambian company that is able to compete with international manufacturers, holding up and keeping succeeding in doing so by maintaining its quality product. Furthermore, the company is present in Zambia and it manages to serve its neighboring countries such as Congo, Malawi, Burundi or Rwanda. The expectation of the people of Zambia is that the plant should become the apex infrastructure development unit in Zambia and bring about a radical change in the development of the whole sector which at the moment is in need of expansion. Zambezi Portland Cement is purely a Zambian company that is able to compete with international ones. We are holding up and we will keep succeeding in doing so by maintaining our quality product.